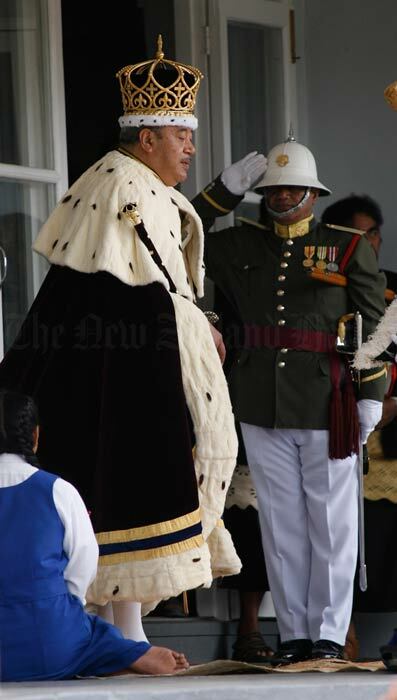 King George Tupou V leaves his coronation ceremony in Nuku'alofa, Tonga, in August 2008. After more than 150 years, monarchial power in Tonga was in retreat. A spokesman for the king had earlier announced that he would withdraw from day-to-day involvement in state affairs and act on the advice of his prime minister of the day. King George Tupou V presided over a transition to a majority popularly elected Parliament in 2010. King George Tupou V died in March 2012 and was succeeded by his brother, Tupouto'a Lavaka Ata.